CAUTION: PLEASE GIVE THIS PERSON A VERY HARD TIME ABOUT HEALTH INSURANCE COVERAGE DUE TO A DIAGNOSIS OF MULTIPLE SCLEROSIS. PLEASE MAKE HER FEEL LIKE A NON-PERSON. During holiday season the Ho, Ho, Ho feeling that was supposed to happen was quashed by the seemingly fruitless search for either secondary or long-term care insurance. Why did I suddenly decide to (try to) get more health insurance? I had a wake-up call for reasons that will remain my own for now, and after these events happened I began to have nightmares that abruptly woke me up in the middle of the night. Nightmares about my mortality, a future of MS progression, or visions of becoming a complete burden to loved ones. It’s a dark place to be in the middle of the night. If I had an accident or my MS progressed without having additional insurance, I’d be unable to pay for countless necessities to maintain some semblance of a quality life. There could be an endless stream of doctors and testing, nursing aides, physical therapists, psychotherapists or extended hospital stays due to disability. I’ve watched love ones begin their own healthcare journey when illness came knocking on their door, so I understand how exorbitant the cost of good healthcare can be. When I was younger and working full-time I was always covered under a group policy. 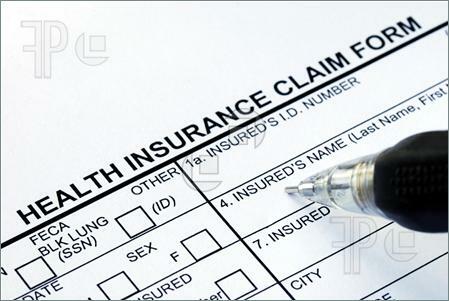 When I couldn’t work full-time any longer due to MS I went on disability and Medicare became my secondary insurance. The group policy was the Cadillac of policies and covered nearly everything. Then, several years ago, my husband became a solo practitioner and now pays for his own insurance. That’s when Medicare became my primary carrier. I have no secondary insurance to rely on. So far Medicare has worked fine for me. It even covers my gynecologist who doesn’t accept insurance but does accept Medicare. But I’m not kidding myself about things remaining the same forever. I’m nearing my next birthday that is leaning closer to 60, and even though I feel younger than I am my body has been on this planet for over 50 years. It was time to make some calls. I phoned an insurance agent who was recommended to me. His voice and manner was highly motivated to get me signed up. At first. Near the end of our conversation he heard the two words he probably hates the most: Multiple Sclerosis. MS is on a short list of diseases that no carrier of long-term care insurance will provide. I was flatly told I’d never find a company to insure me. I was ever so casually, and thoughtlessly, tossed aside in a matter of one sentence. I felt like a pariah. I left a voice message for another insurance agent who was highly recommended, one who allegedly was an expert in secondary insurance. She didn’t return my call. I left a second voice message. No call back. Finally I called a third time when she breathlessly told me she was running out the door and promised to call me back. I called again and lo and behold I spoke to her. She asked me several questions and when she was done I mentioned I had MS. She audibly gasped. Then silence. She told me she’d put together some names and email them to me. I never heard from her. She got my dander up so I called her yet again. When she picked up the phone I think she was shocked to hear my voice. I blurted out how rude she was, telling her she was dealing with a human being who happened to be living with a disability. I asked her how she dared to treat someone so shabbily. She swore she’d have the information to me that Friday. Ordinarily I would have phoned other insurance agents but I was so angry at the way I was treated I knew I had to keep calling this agent until I felt some closure. As my father always told me I’m just obstreperous. I guess he was right all along. In my mission of educating others about MS to spread awareness about our disease I continue to be flabbergasted at the arrogance and audacity of some people. We are all equals. We didn’t ask to have MS, we simply have it. In the end the only thing this arrogant, rude and ill-mannered woman told me was that I wouldn’t qualify for secondary health insurance until I turned 65. In the meantime I’ll worry and be concerned about the future of my health. I’ll do everything in my power to remain as healthy as possible and pray that my doing so will be enough. We’ll also be meeting with a financial planner to find out if there are other ways to plan for the future. I know that long-term care insurance is expensive. Perhaps he can advise on other avenues we haven’t thought of to save money in case of an emergency. We shall see.